We’d love your help. 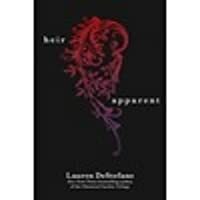 Let us know what’s wrong with this preview of The Heir Apparent by Lauren DeStefano. When King Furlow begins to treat Prince Azure as the heir apparent that he is, he takes him to see the “re-education camps” for wrong-thinkers. But as he enters the camps ,Azure discovers the dark underbelly of the kingdom—and Rise back up to the floating city of Internment in this original enovella, a dark look at life in the royal family after the events of Perfect Ruin. 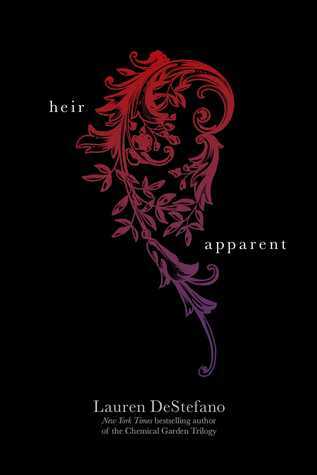 To ask other readers questions about The Heir Apparent, please sign up. This was just a small novella that takes place when Azure and Celeste are children. The king takes him to see a camp that he sends some of the undesirables. There really wasn't any new information, with the exception of seeing a few things from Azure's POV. It was an okay read, very quick, but probably unnecessary. An Internment Chronicles Novella- Book 2.5.... I posted recently about how I was very dissapointed with the first novella in this series, No Intention of Dying. It was very, very short, listed at 14 pages but less then 8 on my device and it didn't contain any additional information about the character, Daphne, that wasn't already told in the series. Basically it wasn't worth the $1.99. Which brings me to The Heir Apparent. It is the second novella in this series which I had purchased at the same An Internment Chronicles Novella- Book 2.5.... I posted recently about how I was very dissapointed with the first novella in this series, No Intention of Dying. It was very, very short, listed at 14 pages but less then 8 on my device and it didn't contain any additional information about the character, Daphne, that wasn't already told in the series. Basically it wasn't worth the $1.99. IT was very Short, I really wouldnt Even Call this a Short Story. Pretty well written, though a bit short. It does not add much to the series, but it does show a bit more of the crown prince. I reread this in hopes of remembering why I rated it only a two when I enjoyed the trilogy. The thing about this novella is that it is the size of a chapter so calling it a novella seems like a joke. Also, a novella is supposed to help delve deeper into a character and give insight into things glossed over in the books, all this does is show us exactly what the books have already revealed and lacks depth into the situation and the characters themselves. I'm not sure whether I'd recommend reading it before Burning Kingdoms or after. If you read it before, it takes away one surprise from the novel, but then, maybe it would make some things clearer. Either way, it's not necessary to read it to appreciate the longer tale. It was a good glimpse into Prince Azure's soul. I am excited to read the third book in the series. Loved this short story of Prince Azure being shown the attraction camps, that if his father knew about him, that he would be there, maybe. Another great short story in this series! Just a short chapter but it will make you look at the royalty different than what the full first book gives you. Azure, Celeste's brother is learning some secrets of his kingdom in this brief novella. This was entirely too short.